Are you in need of some family activities to keep your kiddos entertained? Try making one of these fabulous kites in this craft round up! All of these crafty kites are kid-friendly, can be made on a budget and turn out so cute. 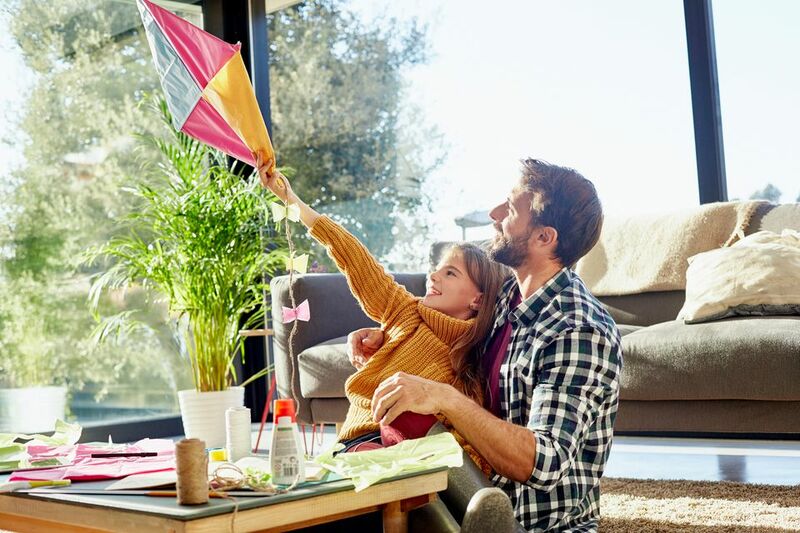 Your kids will love watching their handiwork soar through the air. How cute would this kite garland look at a summer birthday party? It's super easy to make with drinking straws and tissue paper. Use a watercolor technique to make these pretty kites. Your crafty kiddos can get creative with all the different colors of the rainbow. Hang these in your home for spring decor. Get outside with these mini paper kites and watch them soar through the wind. These are super simple to craft one afternoon with your kiddos. Bowtie pasta noodles make the perfect bows on a kite string. This is an easy project that even the littlest crafters can accomplish. You can make your own kite out of a classic brown lunch sack. Decorate with markers, stickers, glitter–or anything you'd like! Your kids can make these crafty kites all on their own! Attach streamers at the bottom of the kite to help it fly through the sky. Aren't these kites beautiful? They make such lovely window decorations for your home. Use tissue paper to get that stained glass effect. Looking for a super easy activity that uses inexpensive materials? Try this awesomely simple plastic bag kite. This craft is a great way to recycle old plastic bags from your trips to the grocery store or pharmacy. Learn how to make a simple, but also super cute, kite with this video tutorial. You'll only need a light breeze to get this kite to fly! Make your kite a permanent decoration with this easy rainbow windsock. Use material from around the house and streamers leftover from your last party to put this cute craft together!